Our home seems to be a sanctuary not just for us but other creatures as well. Last week, there was the squirrel. A while back, we had a bird making a nest between the branches of the potted plant placed at the car porch. We even have bees building a bee hive, more birds, a visiting owl, uninvited snakes, cats and of course, rats. Last night we made another discovery but it was too late to verify. This morning, we looked again. It’s another bird! This time, it’s high up on the tree on the front lawn of the house. A rather unusual engineering feat, the nest seems to be hanging precariously off the branch. We used the binoculars to have a better view and to our delight, saw a black bird with orange feet fidgeting in there. Let’s hope all’s well with Mama Bird and her babies. 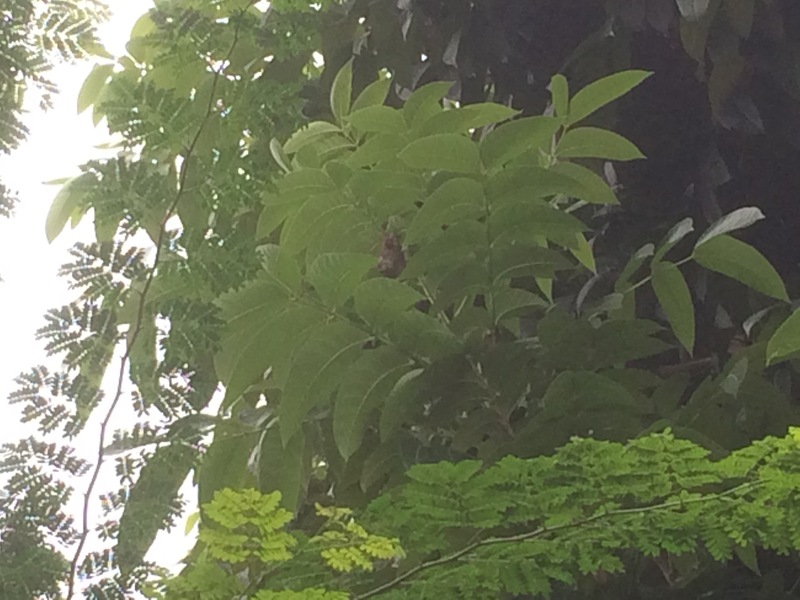 Look closely to spot the hanging nest!